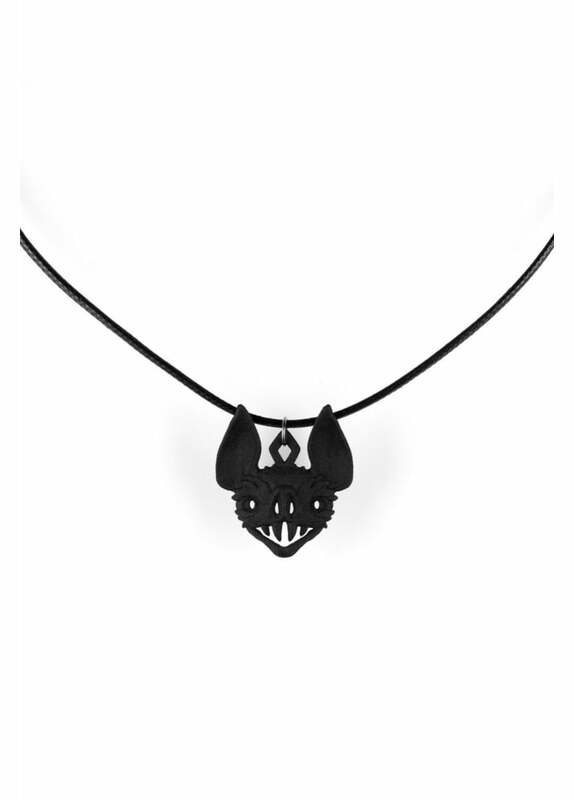 A super detailed, cute & deadly Vampire Bat face on a choker. All fangs and hunger, this beast is on the hunt for easy prey. 3D printed gothic, vampire bat pendant in polyamide plastic on a black cord from Rogue & Wolf.